Where to find all Flantastic Seven mini games in Kingdom Hearts 3. 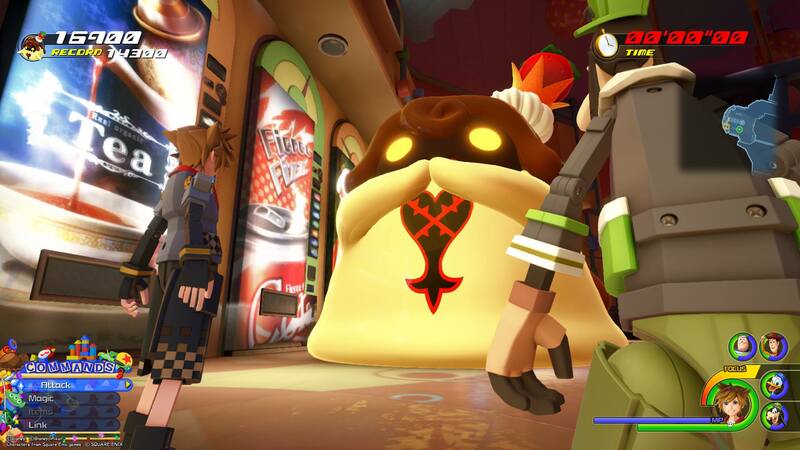 Kingdom Hearts 3 players have the opportunity to try their hand at several cute, flan-related mini games by finding and interacting with all seven hidden Flantastic Seven members. Each Flantastic Seven member is located in a different world within the Kingdom Hearts 3 universe. Because of this, you’ll need to progress far enough in the story to unlock all worlds up to San Fransokyo. Not only can you earn rewards by earning high scores, you’ll also earn a special “Flanmeister” achievement once you play all seven games. Struggling to find one or more Flantastic Seven members? No worries, we’ve got you covered! Below, we’ve put together a quick guide on where to find all Flantastic Seven members in Kingdom Hearts 3! A look at where you can find each member of the Flantastic Seven in Kingdom Hearts 3. The first Flantastic Seven member can be found in the Overlook area of Thebes in the Olympus world of Kingdom Hearts 3. The first Flantastic Seven member in Kingdom Hearts 3 is the Cherry Flan. 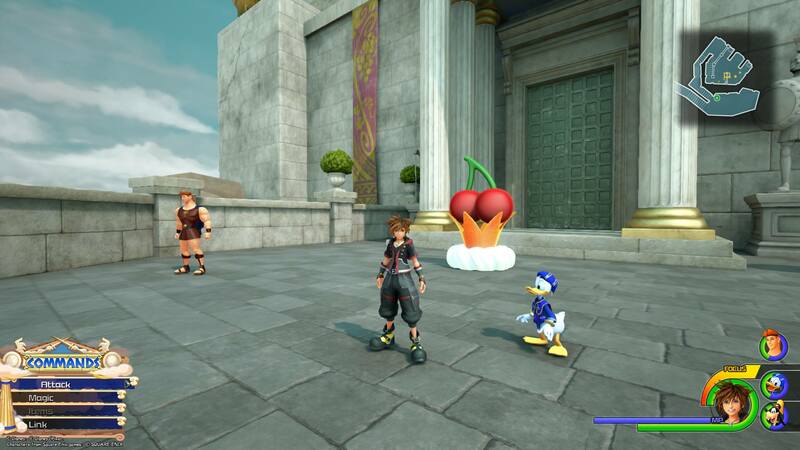 To find the Cherry Flan, you’ll need to spawn into the Olympus world at the Overlook area of Thebes. Turn around, and directly behind the Overlook save point, you’ll see a flight of stairs. Head up these stairs until you reach the highest point of the Thebes Overlook area. There, you’ll find the Cherry Flan. Interact with the Cherry Flan to play the first mini game. In this mini game, you’ll use Goofy’s Trinity Shield to slide down Thebes while hitting small flans in the process. The more flans you hit, the higher your score! 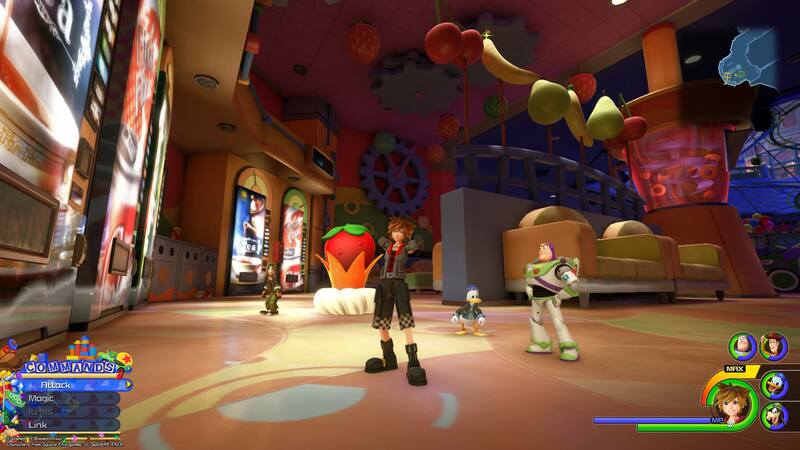 The second Flantastic Seven member can be found in the Rest Stop area of Galaxy Toys in the Toy Box world of Kingdom Hearts 3. The second Flantastic Seven member in Kingdom Hearts 3 is the Strawberry Flan. To find the Strawberry Flan, you’ll need to spawn into the Toy Box world at the Rest Stop area of Galaxy Toys. From the save point, head inside the Rest Stop area towards the back where the vending machines are. There, you’ll find the Strawberry Flan. Interact with the Strawberry Flan to play the second mini game. In this mini game, you’ll stack flans on top of one another while avoiding the rolling strawberries. The more flans you stack, the higher your score! The third Flantastic Seven member can be found in the Hills area of the Forest in the Kingdom of Corona world of Kingdom Hearts 3. The third Flantastic Seven member in Kingdom Hearts 3 is the Orange Flan. 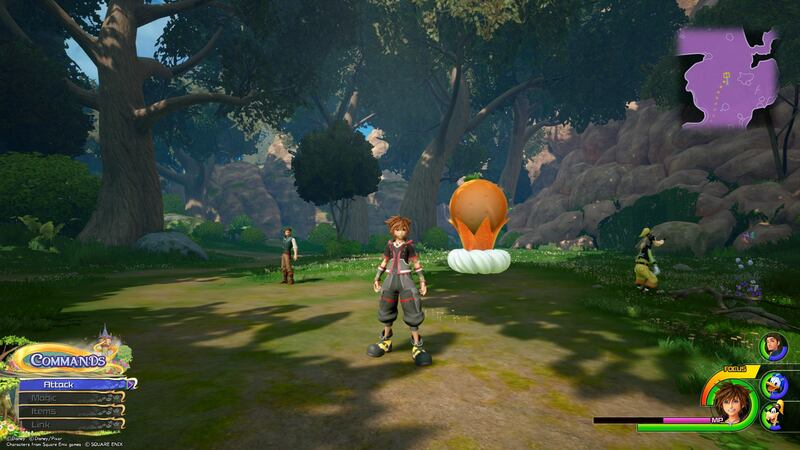 To find the Orange Flan, you’ll need to spawn into the Kingdom of Corona world at the Hills area of the Forest. From the save point, turn around and head down the narrow path through the rocky hills. On your right near a small tree, you’ll find the Orange Flan. Interact with the Orange Flan to play the third mini game. In this mini game, you’ll need to photograph seven flans during the “perfect moment” such as when they’re running towards you. The more “Excellent” photographs you snap, the higher your score! The fourth Flantastic Seven member can be found in the Basement area of the Factory in the Monstropolis world of Kingdom Hearts 3. The fourth Flantastic Seven member in Kingdom Hearts 3 is the Banana Flan. 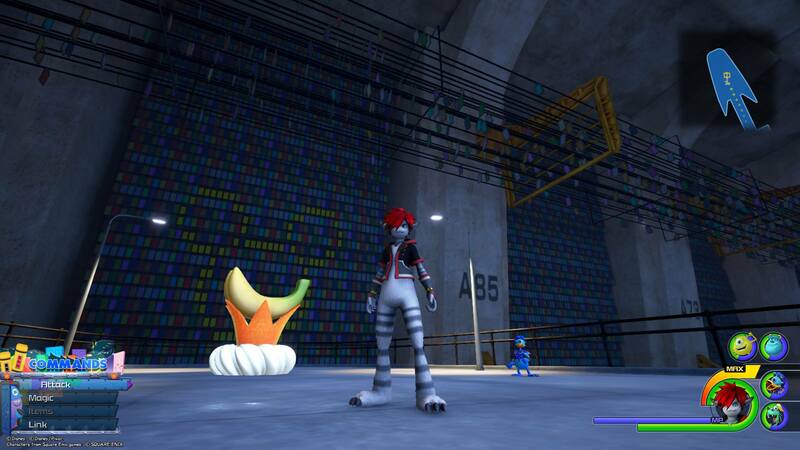 To find the Banana Flan, you’ll need to spawn into the Monstropolis world at the Basement area of the Factory. From the save point, turn around and enter the white door leaning against the wall. When you reach the Lower Level, head straight until you reach the wall of doors, then take a left. At the end, you’ll find a door with the red light on, meaning you can interact with it. Enter the door, then take a left into the hallway behind you. At the end, you’ll find the Banana Flan, as well as a Lucky Emblem. Interact with the Banana Flan to play the fourth mini game. In this mini game, you’ll need to eliminate several flan while avoiding damage from the large flan in the center. The more flan you eliminate before taking damage, the higher your score! The fifth Flantastic Seven member can be found in the Mountain Ridge area of the North Mountain in the Arendelle world of Kingdom Hearts 3. The fifth Flantastic Seven member in Kingdom Hearts 3 is the Grape Flan. To find the Grape Flan, you’ll need to spawn into the Arendelle world at the Mountain Ridge area of the North Mountain (where the Ice Castle is located). From the save point, head towards the ice castle, then jump off the cliff. Once you land, you’ll find the Grape Flan. Interact with the Grape Flan to play the fifth mini game. In this mini game, you’ll need to eliminate as many flans as you can before the timer runs out. The more flan you eliminate, the higher your score! Note that in order to return to the Mountain Ridge area, you’ll need to head straight past the Grape Flan and leap over the next cliff. 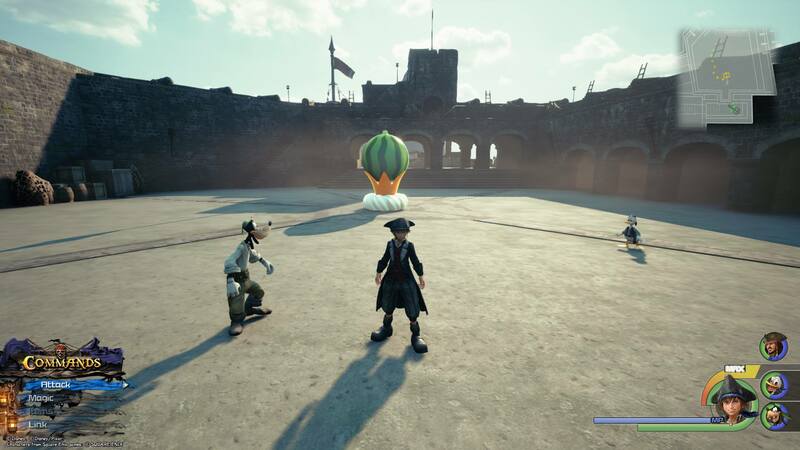 The sixth Flantastic Seven member can be found in the Fort area of Port Royal in the Caribbean world of Kingdom Hearts 3. The sixth Flantastic Seven member in Kingdom Hearts 3 is the Watermelon Flan. To find the Watermelon Flan, you’ll need to spawn into the Caribbean world at the Fort area of Port Royal. From the save point, enter the center area of the Fort. There, you’ll find the Watermelon Flan. Interact with the Watermelon Flan to play the sixth mini game. In this mini game, you’ll need to fire canons to eliminate the flan flying towards the Fort without letting any inside. The more flan you eliminate before a flan enters the Fort, the higher your score! 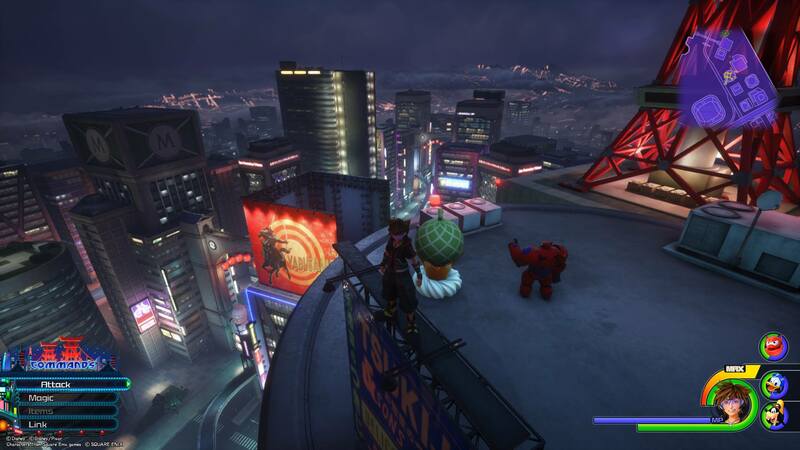 The seventh Flantastic Seven member can be found in the South District area of the City at night in the San Fransokyo world of Kingdom Hearts 3. The seventh Flantastic Seven member in Kingdom Hearts 3 is the Honeydew Flan. To find the Honeydew Flan, you’ll need to spawn into the San Fransokyo world at the South District area of the City at night. Note that the Honeydew Flan can only be found at night. At the save point, turn around and climb the building directly behind you. Hop over to the circular building near the M building and you’ll find the Honeydew Flan. You can also use the image above with the mini map location in the upper right corner for reference. Interact with the Honeydew Flan and you’ll be able to play the seventh mini game. In this mini game, you’ll need to jump on top of each flan in order to make them start moving. The more flan you jump on without hitting the ground, the higher your score! By finding and playing all seven Flantastic Seven mini games, you’ll be able to earn rewards depending on the scores you earn in each game, as well as the Flanmeister achievement in Kingdom Hearts 3. After playing the Flantastic Seven mini games, which one is your favorite and why? Let us know down in the comments below! 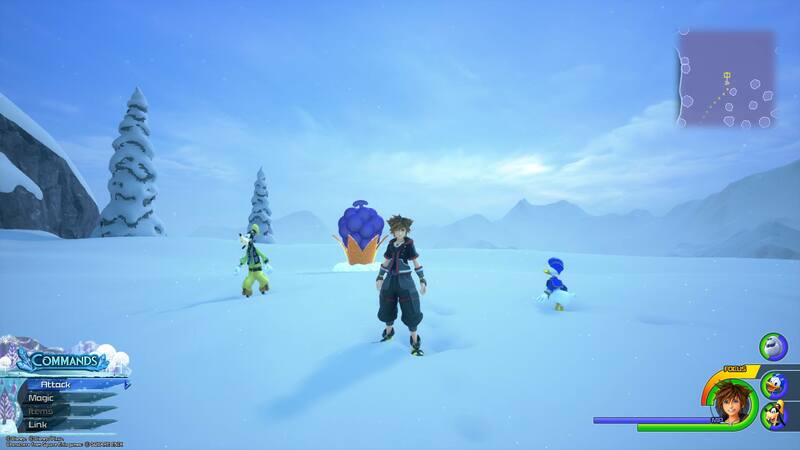 For more on Kingdom Hearts 3, be sure to check out some of our previous guides including where to find all Lucky Emblems in Kingdom Hearts 3, how to get the Ultima Weapon in Kingdom Hearts 3, and how to skip and watch cutscenes in Kingdom Hearts 3.